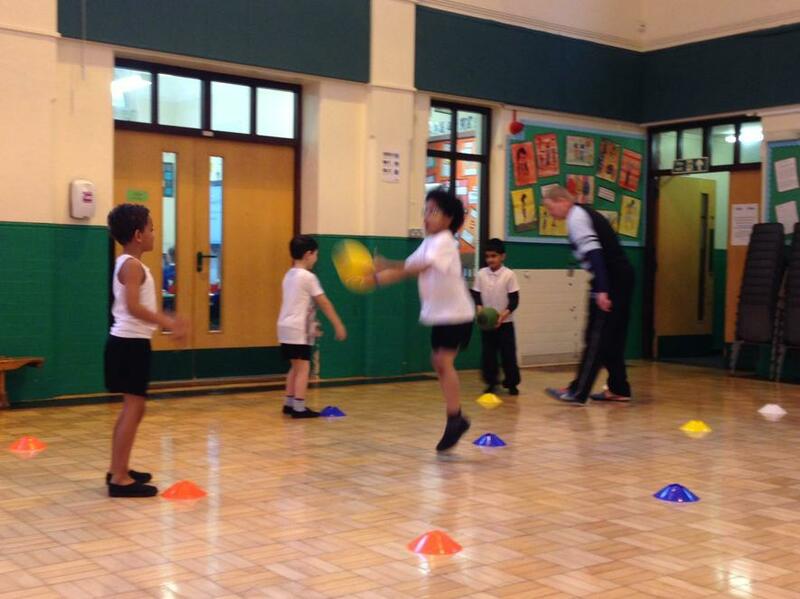 Keep up to date with what's going on in Year 2 by checking here regularly. We will be adding news and photos of our work and activities on a regular basis. 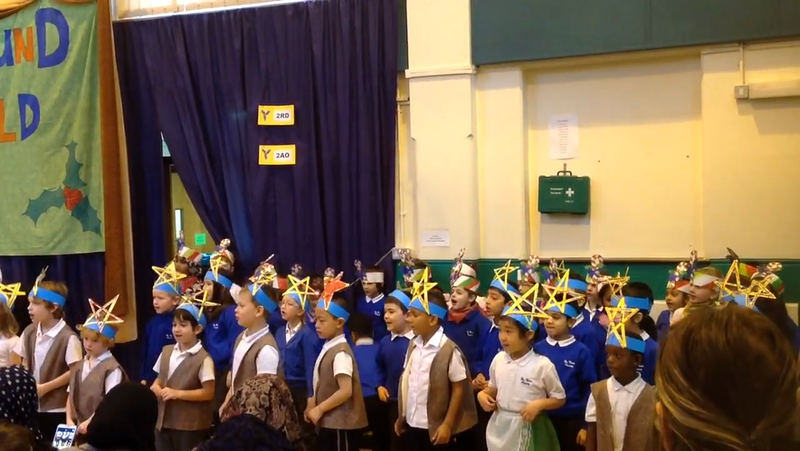 Read and respond to the Year 2 Blog by clicking here. Year 2 have begun Enabling Enterprise this year. Enabling Enterprise is a project to help our children become rounded and successful. 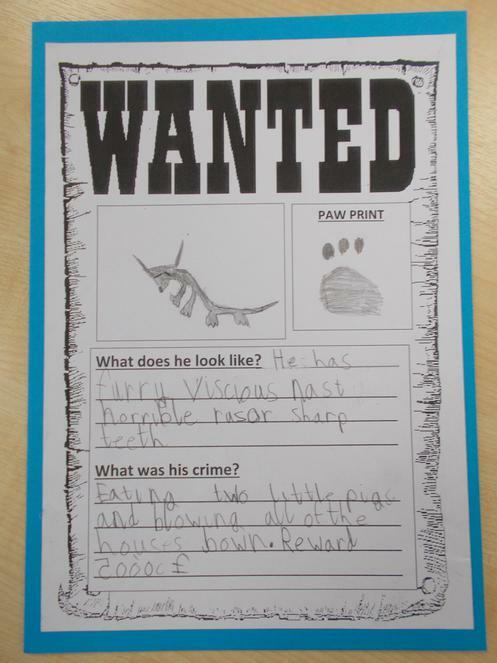 This half term, the children of year 2 have been developing their enterprise skills and their understanding of the world of work. We focus on eight core skills that are the essential building blocks: Teamwork & Leadership; Listening & Presenting; Aiming High & Staying Positive; Problem Solving & Creativity. The Enabling Enterprise programme transforms these skills through a combination of lesson-time projects, challenge days and trips to top businesses. In each of these, children apply and develop their skills through a project-based challenges with a real-life element from business. This half term, the children worked in teams to re-design the portacabin! Below is some examples of the children of year 2’s excellent team work and designing skills. 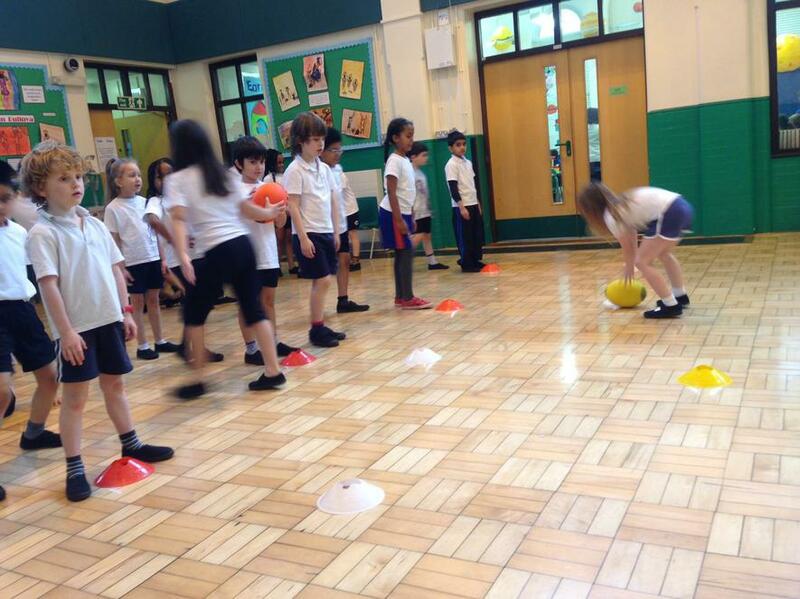 Year 2 have welcomed in 2016 with exciting P.E. lessons! 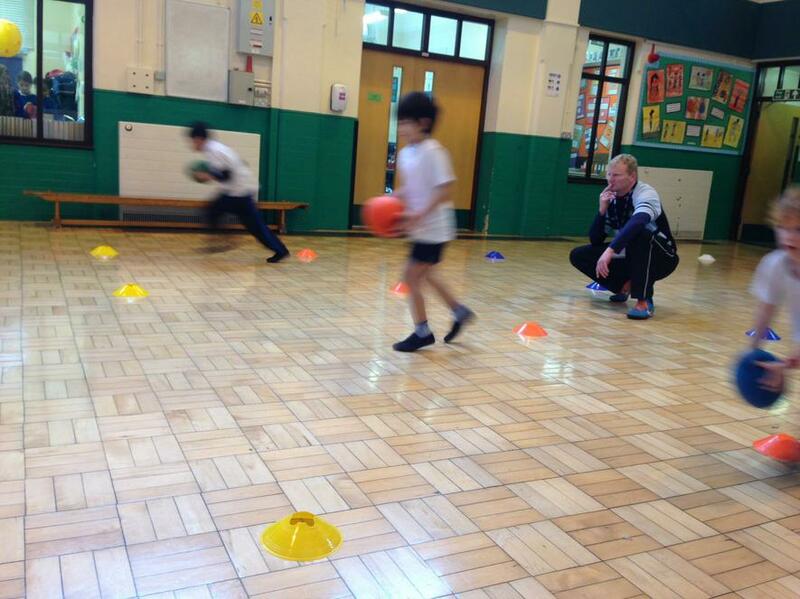 We are very lucky to have a P.E. 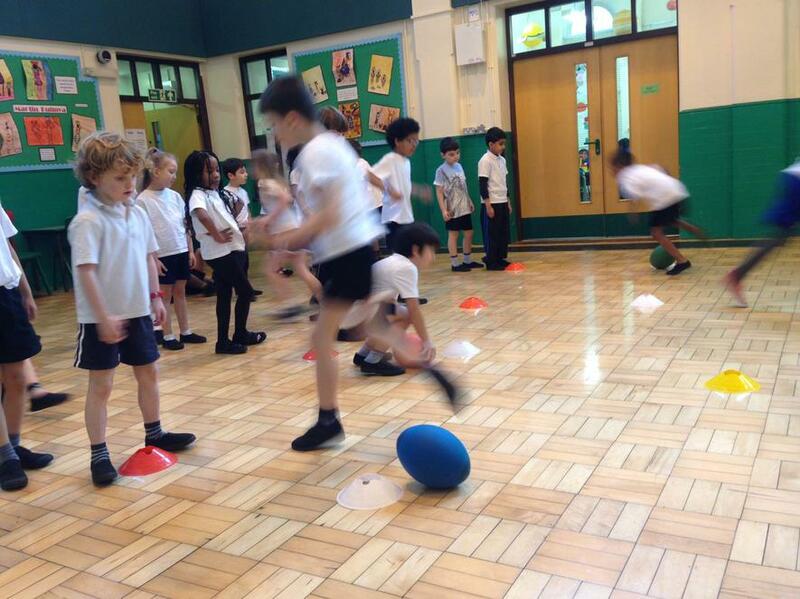 specialist come in and teach us all about rugby! 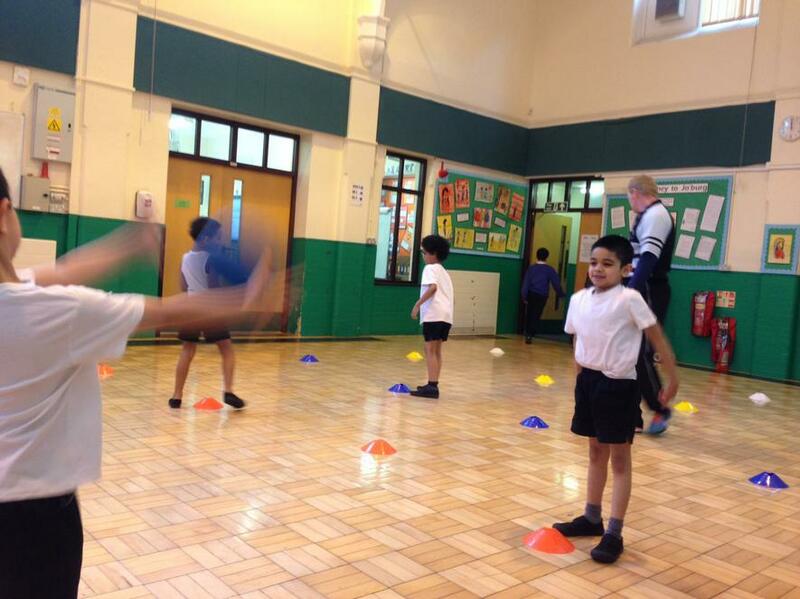 We have just begun learning about the sport of rugby and so far we have been practising throwing the ball accurately, catching the ball using the very important ‘W ‘shape of our hands and we have even scored a few tries! 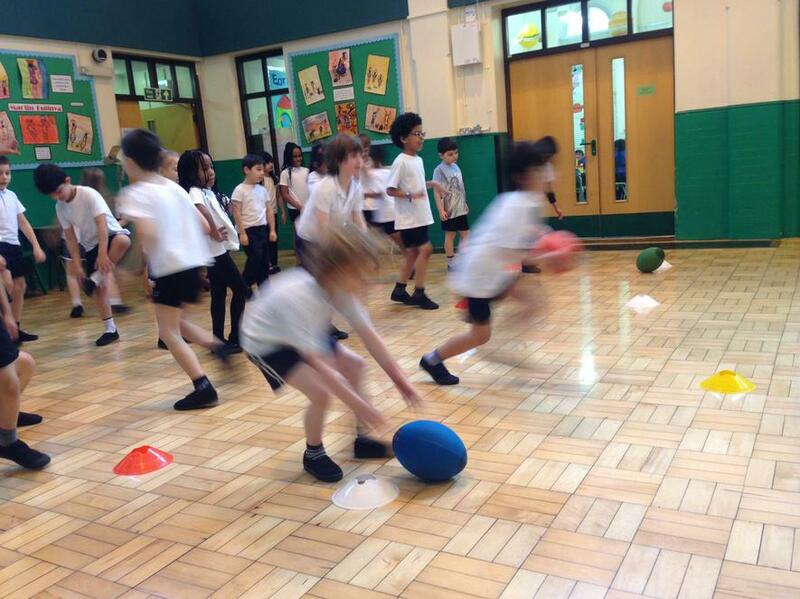 Keep up to date to see pictures of year 2 learning everything there is to know about rugby! 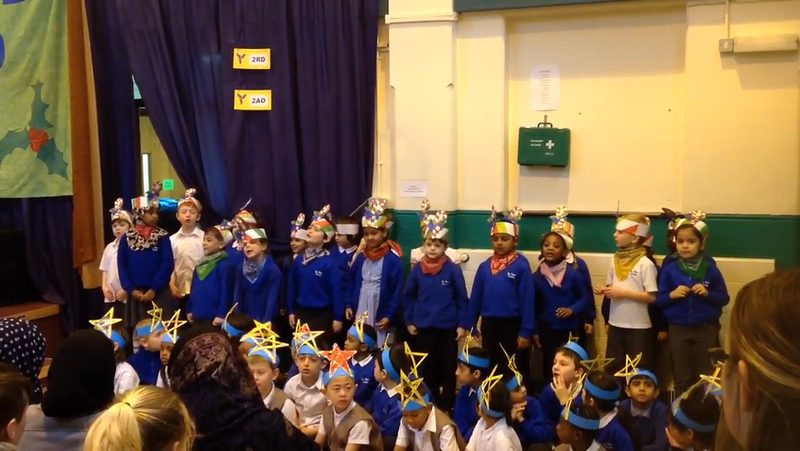 The past few weeks, the children of year 2 have worked incredibly hard to practice for their Christmas performance. 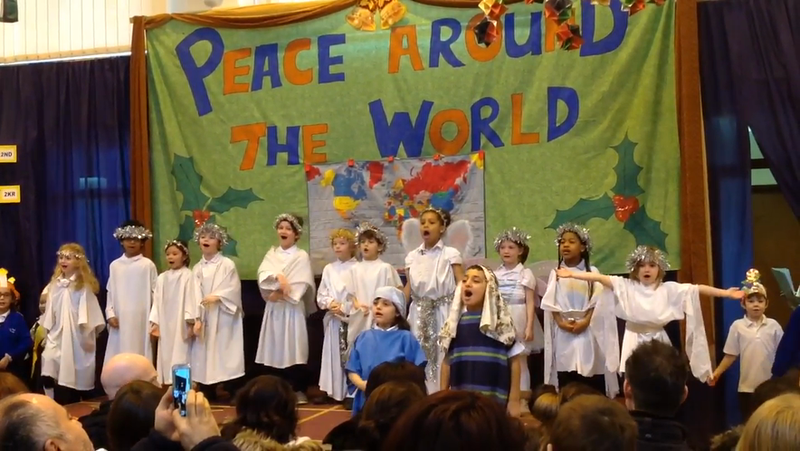 On Thursday 9th and Friday 10th December they performed in front of the parents! If unfortunately you could not make it, here are some pictures and clips from the big day! 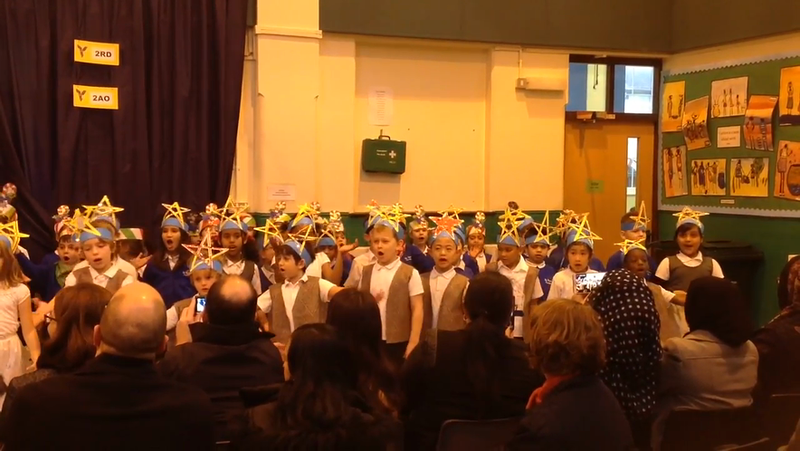 Well done to all of the children for your hard work, beautiful singing and unforgettable performance. You have made all of your parents and teachers very proud! This week in literacy we have been time travellers writing our very own diary entries as if we were present during The Great Fire of London all those years ago. We have looked closely at Samuel Pepys diary. Samuel Pepys was an eye witness to the Fire of London and we know what happened because Samuel Pepys was there and wrote about it! Take a look here http://www.pepys.info/fire.html to read his diary entries from 1666. Once we had carefully retold our version of events, using a range of adjectives to describe what we saw, smelt, felt and heard, we presented our work on an old script and used old teabags to make our diary entries look like they really were from 1666! Take a look at some of Year 2’s diary entries from 1666. 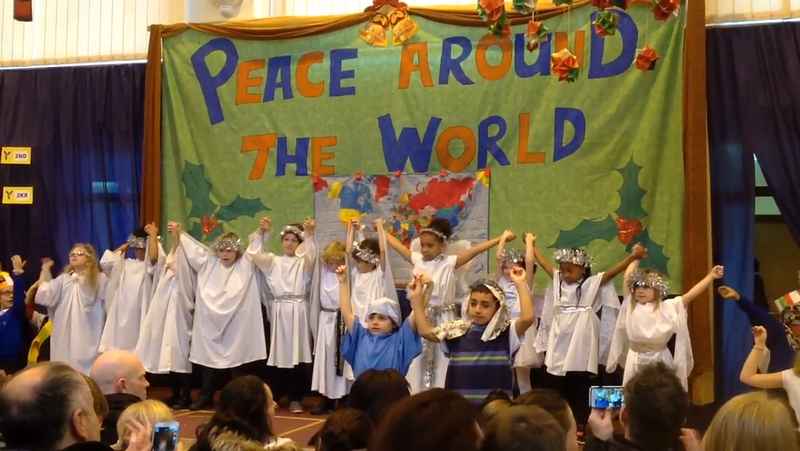 Year 2 have had a fantastic morning participating in a history drama workshop! The children experienced London of 1666 up close and recreated life on Pudding Lane, where the fire first began all those years ago. 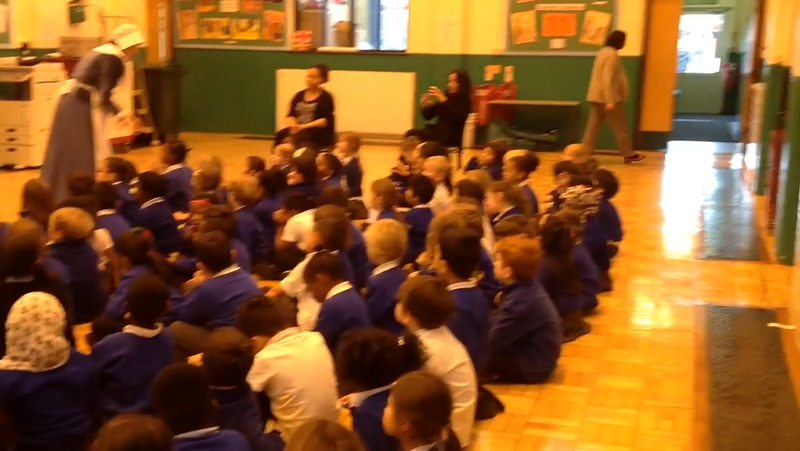 The children also enjoyed a debate about the rebuilding of the city! 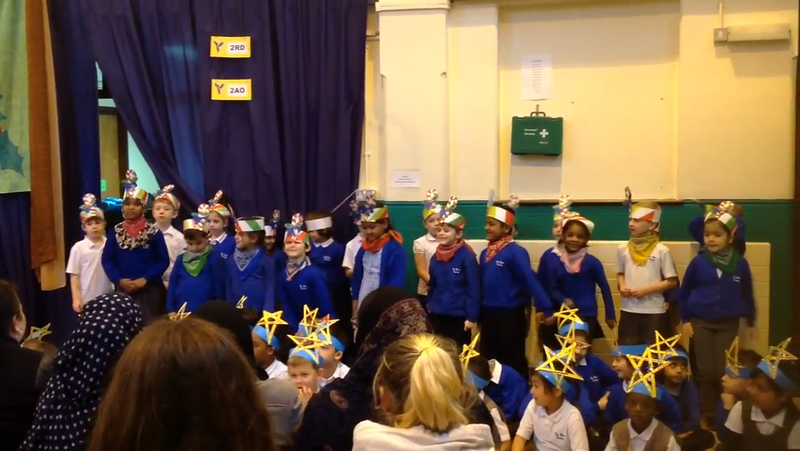 Year 2 were mesmerised by the variety of characters they were introduced to and some were lucky enough to perform in front of everyone. Take a look at a clip from today's performances! This half term year 2 are learning all about The Great Fire of London. So far we have looked how different London was back in 1666 and compared and contrasted London then with London today. We have learned how the fire started on 2nd September 1666 at 2am in a baker's shop on Pudding Lane. 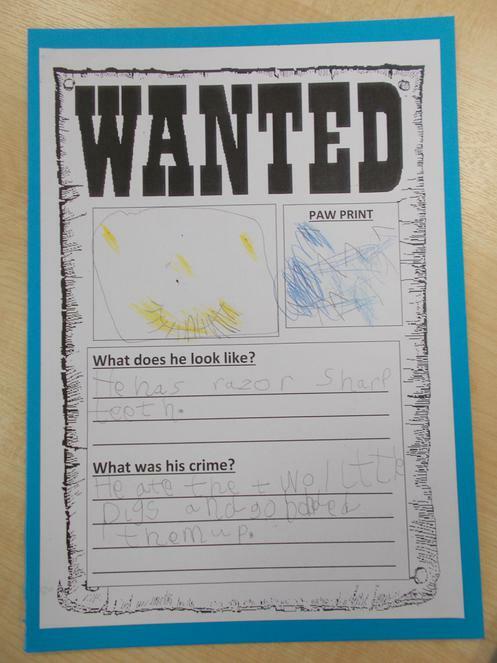 The fire spread quickly and we have researched into some of the reasons why. Click here to find out more. The fire lasted for 4 days and the events where recorded in a diary by Samuel Pepys who was a friend and advisor to King Charles II. Click here to read more about Samuel Pepys and The Great Fire of London. Click below to have a look into Samuel Pepys diary! Here is a link to a fantastic site where you and your child can learn more about The Great Fire of London. The children of Year 2 have been learning all about William Morris and the contributions he has made. We have learned that William Morris was a Victorian artist who was famous for his wallpaper and fabric designs. Year 2 have all visited the famous gallery and have explored his beautiful designs up close! We decided to create our own clay tiles using William Morris as inspiration. Have a look at Year 2's beautiful art work! Year 2 William Morris inspired clay tiles! 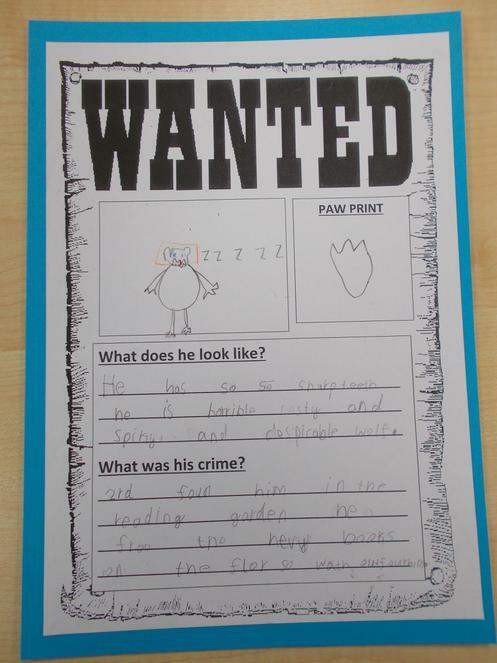 As the first half term comes to an end, here are some super examples of the excellent work year 2 have produced creating non-fiction information leaflets about Lloyd Park. Amazing work 2KR, 2AO, 2ND and 2RD! 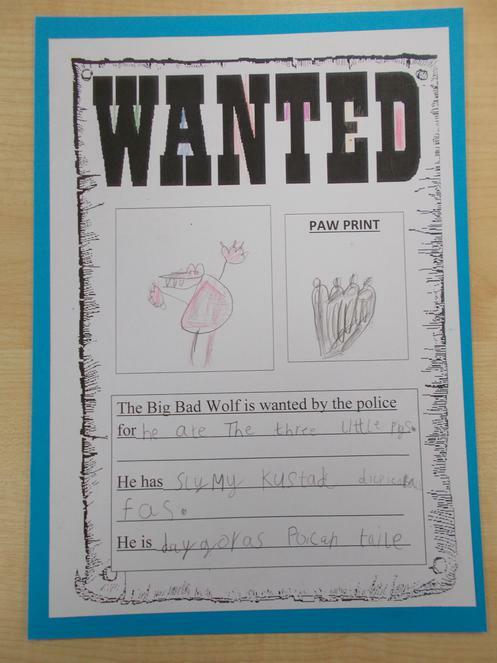 This term we have been looking closely at traditional tales. 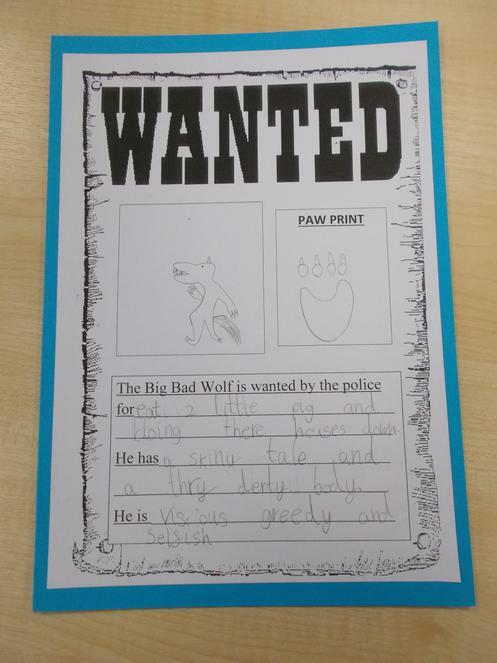 The children of Year 2 were incredibly excited to discover that the Big Bad Wolf had escaped from his traditional tale and had been spotted around The Winns Primary School causing mischief! 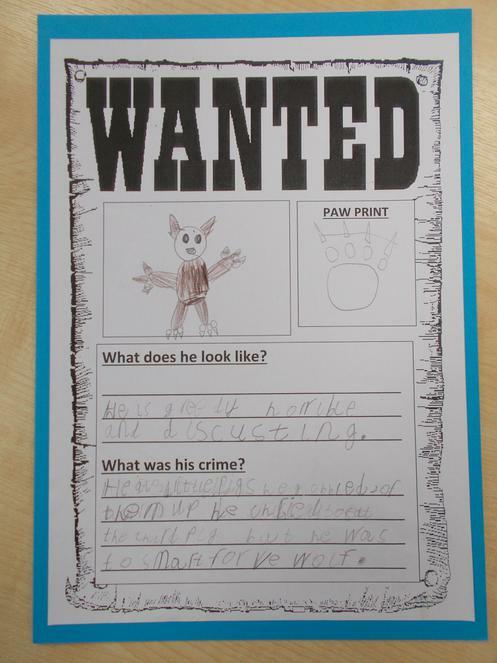 We created ‘Wanted’ posters to catch the Big Bad Wolf. 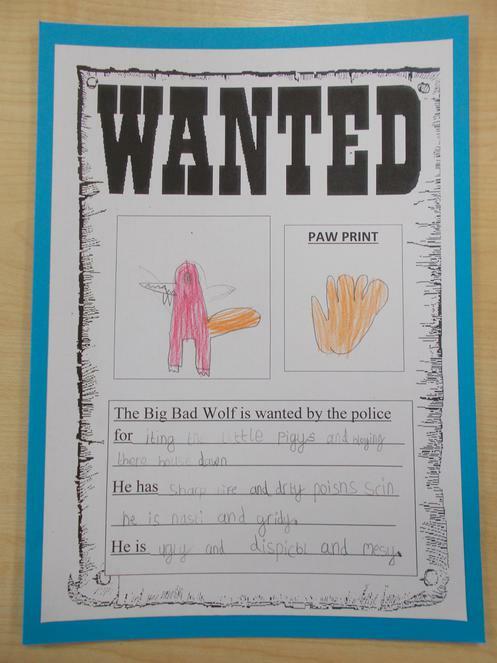 Here are some excellent examples of work from the children of Year 2. Super stuff Year 2! Keep up the hard work!